Today has seen the official launch of brand new technical education solutions, including a new range of Micro CNC machines, designed for teaching key manufacturign engineering principles to students aged 14-18. We have also launched new solutions into our electrical installation Locktronics range and AllCode MIAC. Find out more in the newsletter below. We are very excited about our new range of Micro CNC machines available now. These new additions to the manufacturing engineering range of solutions are suitable for teaching Unit 43 of the BTEC National award in Engineering (level 3): Manufacturing CNC machine processes and also Unit 23 of the BTEC Higher National: CAD/CAM (level 4/5). These compact, low voltage, low power, low cost solutions help students of all ages learn the core concepts and principles of CNC machining. The Micro CNC system controller and base plate allows the user to control our machines using a variety of software packages. 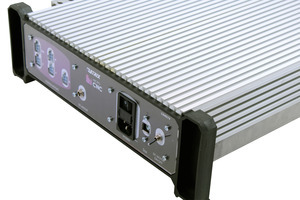 The base plate is ordered separately (CN4079) and includes all necessary power supplies and an industrial standard computer with stepper motor driver circuitry as well as a USB connection facility to a Windows PC. There are three different Micro CNC machines available – 2 axis lathe, 3 axis milling machine and 4 axis milling machine. Alternatively, why not purchase the complete Micro CNC set which is a kit of parts allowing the user to assemble all three of the machines (only one at any one time). We can also supply software to accompany the machines. CAMBAM software if using the lathe or Deskproto software for the milling machines. If the complete set is purchased, then both types of software will be required. Software can be purchased as a single user license or a site license. Full curriculum is provided free of charge, taking students through a staged learning process where they first design their project in a CAD package such as AutoCAD, convert the designs into G code and then use one of our real Micro CNC machines with a Windows based G code editor to manufacture real parts, allowing prototyping using wax cylinders, acrylic pieces or polyurethane board. Please contact us for a quotation or for more information. AllCode MIAC is compatible with ranges such as Locktronics and Automatics, which is used by teachers and lecturers to deliver teaching of mechatronic, pneumatic and electronic principles to students. We set up an Automatics rig of components, including two double acting cylinders. A simple app was created allowing the user to control the MIAC with their mobile phone. 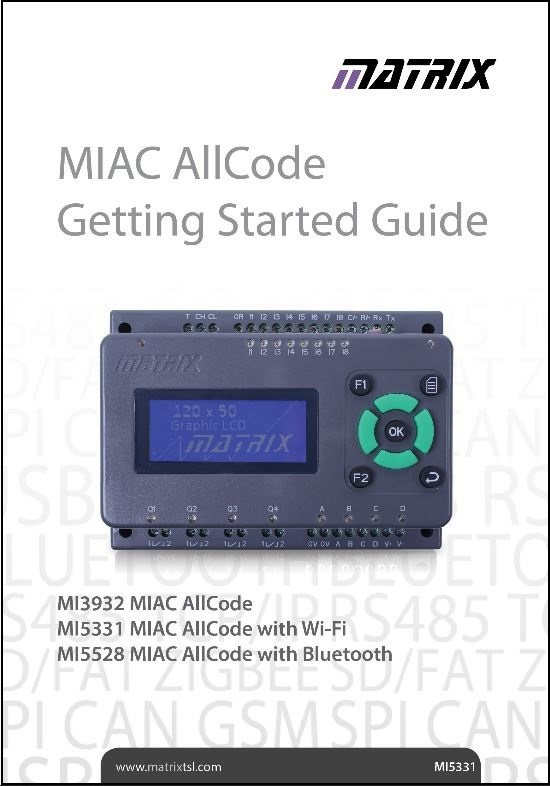 The mobile phone and AllCode MIAC are already connected via Bluetooth so selecting the on-screen buttons switches on the transistor outputs on the MIAC which in turn controls the electronics of the pneumatic rig. Read more….. This level two solution allows students to understand the operation of a range of commonly used components in both DC and AC circuits. The kit includes a range of practical assignments which guide students from simple circuits that allow them to understand component operation through to circuits that are made up of a number of components that perform useful tasks in electrical systems. This solution is suitable for City and Guilds 8202 level 2. This level three solution covers two separate topics. Firstly, students can use the Locktronics components and a signal generator to export inductive and capacitive reactance and to compare the effects these have on circuits with resistance. Secondly, the solution includes a selection of components that allow students to explore how solenoids and relays are used in electronics circuits and how circuit breakers and RCDs are used in electrical safety systems. This solution is suitable for City and Guilds 8202 level 3. Also suitable for centres delivering training under the EAL awarding body. June saw the first Teaching Excellence Framework (TEF) ratings published in the United Kingdom. The TEF aims to recognise and reward excellence in teaching and learning and help inform prospective students’ choices for higher education. Whilst the results were a mixed bag, many of the institutions awarded with Gold status are users of Matrix learning solutions. Read the full article here.